The Acute Leukemia Advocates Network (ALAN), a patient-centric, global network of acute leukemia patient organizations, has developed the first global health-related quality of life survey in acute leukemia, with the aim of using the data to advocate for practice change that will improve the quality of life for patients with the disease. ALAN initiated the international survey to produce data that will allow for a greater understanding of current issues that relate to the changing treatment landscape, as well as international experiences and quality of life (QoL) of acute leukemia (AL) patients. The hope is that this survey will plug the current information void and help advocates to inform key stakeholders, industry and policy-makers about the unmet need in QoL for patients with AL, with a view to instigating positive change for the management of patients. There is a large gap in the data currently available on AL patients. Of the data currently available, there is a lack of information on AL patient’s QoL. It is imperative that this space in the literature is filled; as without it, our understanding of patient’s needs in the changing clinical landscape cannot be accurately honed to best treat patients. For the first time, a QoL survey for blood cancer patients will use a health-related QoL tool that has been designed to specifically address the needs of patients with hematologic malignancies. 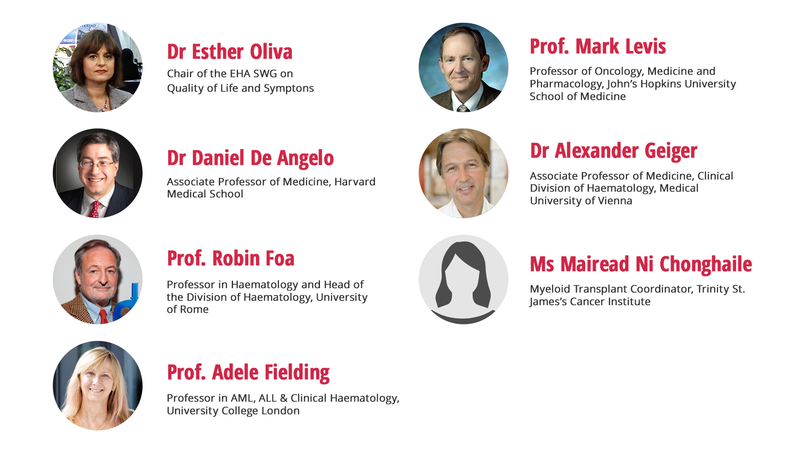 The new tool for the evaluation of patient-reported outcomes (PROs) in patients with haematological malignancies (HM-PRO) has been developed and tested for use in the clinic, and is funded by the European Haematology Association Scientific Working Group (EHA-SWG). Using HM-PRO and learnings from the existing literature in acute leukemia, it is hoped that the new ALAN survey will produce data that will be truly relevant and helpful to the acute leukemia community. Despite advances in novel targeted and immune therapies, the clinical outcomes for many patients remain poor; this is especially true in acute myeloid leukemia. The rapid progression of AL, aging populations, poor responses to chemotherapy, high rates of relapse and a limited choice of effective treatment options leave a lot to be desired. Patients’ unmet needs extend beyond the clinic. Specific challenges include feelings of helplessness/hopelessness, restricted activity, fatigue, fever, distance from care and uncertainty of their treatment plan. AL patients are subject to a great number of challenges both clinically and palliatively, which signpost the unmet needs that they currently face. ALAN is an independent, patient-centric network of organizations that work together globally to improve advocacy and outcomes for AL sufferers. By supporting patients, their carers and healthcare professionals through education, as well as improving healthcare services and their accessibility, and collaborating with others with similar goals, this organization is creating a better world for those that are inflicted by AL. Zack Pemberton-Whiteley, Chair of ALAN, Bern, Switzerland, explains what the network does, and the global QoL survey that they have created and its importance. He highlights the various topics covered in the survey and how they will be used to measure QoL. Mark Levis, MD, PhD, of the Sidney Kimmel Comprehensive Cancer Center, Baltimore, MD, discusses the poor QoL of AL patients treated in the past, and how newer treatments are revolutionizing the patient experience. Prof. Levis goes on to discuss the lack of measurement framework in place to gauge QoL and how the literature is thus limited in providing clarity on how new treatment regimens impact QoL. Prof. Levis discusses why there is a need for this type of survey for AL specifically. He highlights how the ALAN global QoL survey has been designed to allow for international comparison of data and emphasizes just how important this is. Quality of life and symptom data are essential for informing treatment plans as a clinician, as Esther Oliva, MD, Chair of the EHA-SWG, from the Grande Ospedale Metropolitano Bianchi Melacrino Morelli, Reggio Calabria, Italy, discusses at the 23rd Congress of EHA 2018, held in Stockholm, Sweden. This survey is essential in bringing the medical community up to speed on how new developments in AL care are impacting QoL in a field that has remained largely the same and unmeasured for so long. As a healthcare professional, you can support this movement by asking your AL patients, or indeed their carers, to fill out the ALAN global QoL survey and help build up the data the system is lacking.